Living Area: 3738 sq. ft. Enjoy the Gunnison Country at its finest! 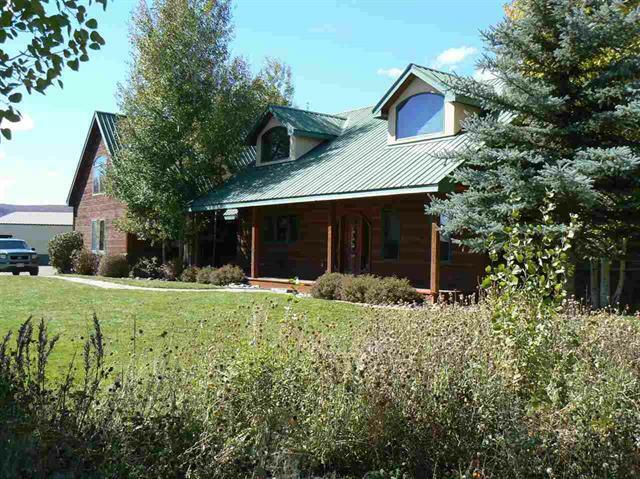 3,738 SF home on 6.7 acres just north of Gunnison. All four bedrooms on ground level, including master with huge closet and walk out deck. Upper level "man cave"--game/TV room. Three car heated garage. Heart wood pine floors with in floor heat. Stone fireplace in great room. Vaulted ceilings, fitness room, and hot tub. Custom cabinets, granite and island in kitchen. It's just as good outside with a 800 SF shop/warehouse/office metal building, horse barn and dog kennel. Warm water irrigation ditch provides year round source for horses. Professionally landscaped and mature trees. Located 3 miles from Gunnison, and less than a mile from The Gunnison River and Garlic Mike's. Crested Butte just 25 miles away. Great property for family or vacation home!